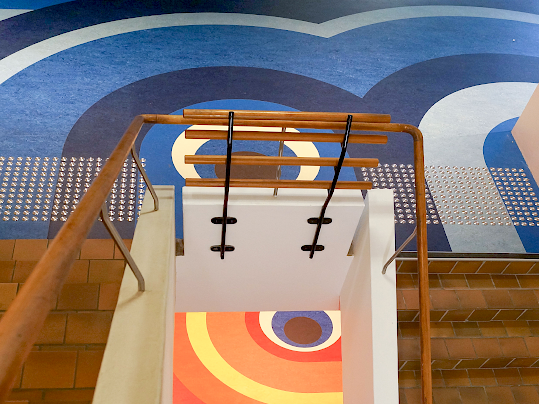 The design balances the brutalist building, designed in 1974 by Nutter Stevenson and Partners, with bold colours and graphics that are reminiscent of the supergraphics of the 1970s, while breathing contemporaneity and new life into the space. 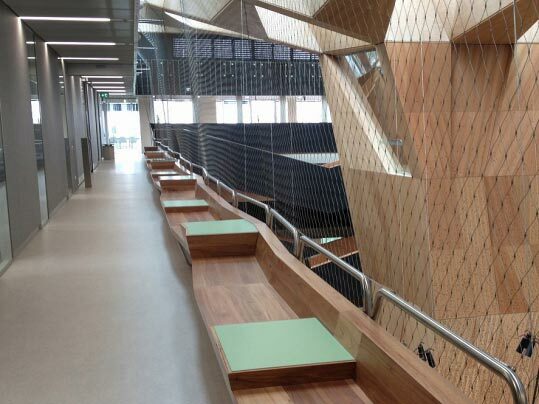 Melbourne School of Design Faculty of Architecture and Planning - Six Star Green Star, maximum points for Innovation utilising authentic natural original materials including Marmoleum, Bulletin Board, and Furniture linoleum. The overall aesthetic of the interior embodies the corporate identity of Aveling's marketing scheme as seen with various elements of their logo used throughout. There is an intentional cohesion between the building's external and internal elements. 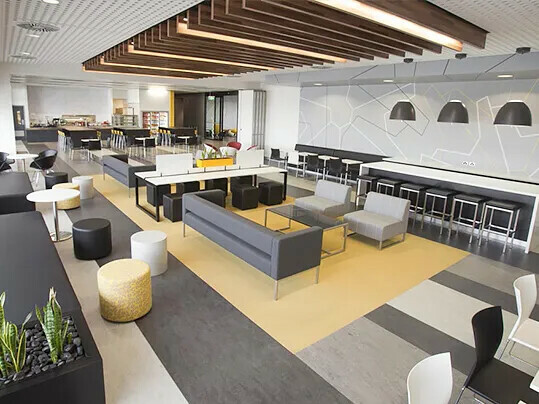 The design language of both linear and diagonal elements, the monochromatic colour palette and the Aveling corporate identity are all intertwined and act harmoniously with the surrounding environment.